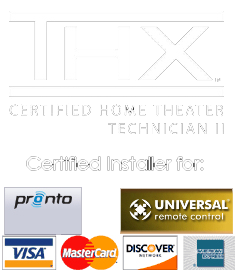 Theater Design Northwest consulted with these great clients for a complete room makeover that delivers cinema performance with a clean high end look. 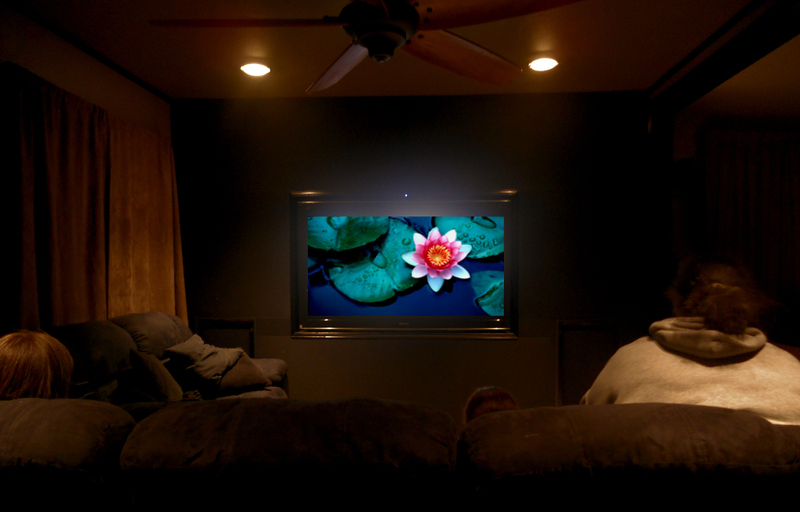 After consulting with us, the clients and their carpenter began work on paint, new millwork and lighting while we finalized the details of a serious THX Home Theater system design, budget and a custom screen wall design that we would fabricate onsite. The clients are quite pleased with the results and are fully enjoying incredible audio+video every time they turn the system on. 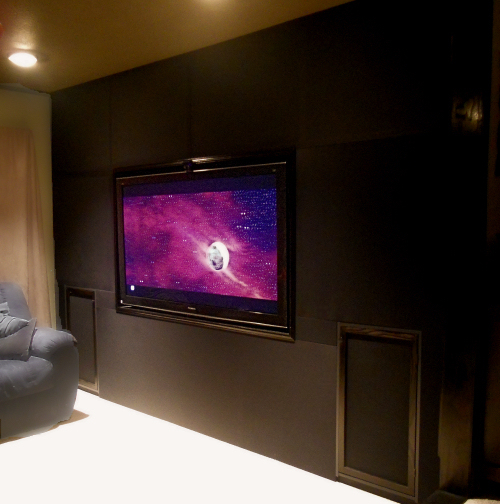 This was our first 3D/9.1 surround project and we are impressed with the immersive quality of the new tech. Most of our VT25 customers are not actually looking for 3D, choose the VT25 purely for it’s incredible 2D picture and end up loving the extra bonus of 3D capability. 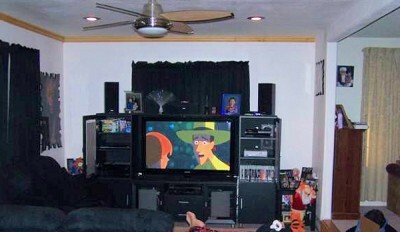 Practicality- Installed in the example at right is: the homes’ internet network, power management, receiver and sensors for the RF remote, wiring infrastructure, a huge subwoofer, equipment racks for all source electronics, storage cabinet and speakers for left/right/center/height left/height right channels, an alcove mounted 65″ Plasma display. The next upgrade for this AV system will be a Richard Gray’s Power Company RGPC 400Pro power management system that will enhance the audio+video quality in this great home theater to the level of sublime.